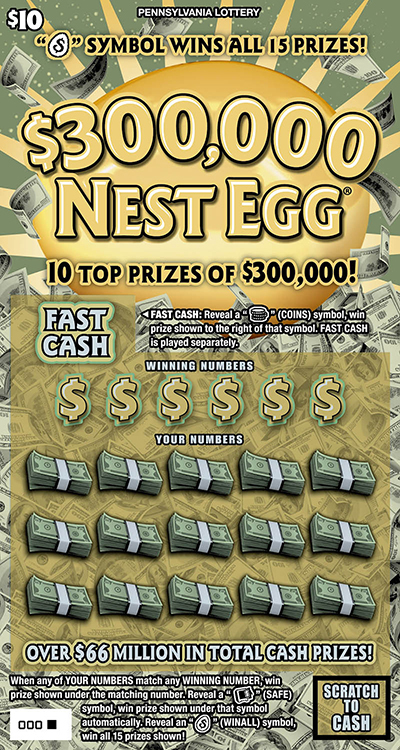 $300,000 Nest Egg® is a $10 game that offers 10 top prizes of $300,000. When any of YOUR NUMBERS match any WINNING NUMBER, win prize shown under the matching number. Reveal a “SAFE” (SAFE) symbol, win prize shown under that symbol automatically. 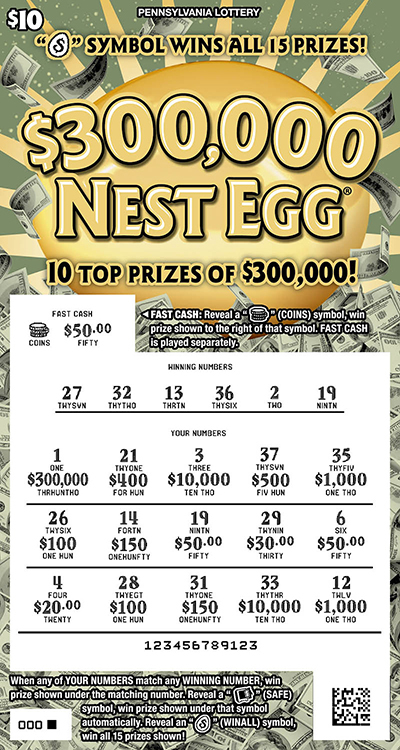 Reveal an “EGG” (WINALL) symbol, win all 15 prizes shown! FAST CASH: Reveal a “COINS” (COINS) symbol, win prize shown to the right of that symbol. FAST CASH is played separately.